Hawking: Computers Will Overtake Us — But When They Do, Will They Have “Goals Aligned With Ours”? THE STATE-OWNED UK bank servicing the Russia-based worldwide television news network RT has given notice that it will close the broadcaster’s accounts, without explanation. The UK government has denied any involvement in the bank’s decision. “They closed our accounts in Britain. All of them. ‘Decision not to be discussed’. Long live freedom of speech!” RT’s editor-in-chief Margarita Simonyan said on her Twitter account. She added that RT’s assets were not frozen and can still be withdrawn from the accounts. 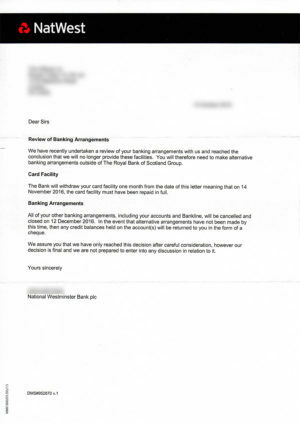 The RT press office pointed out that NatWest is part of the Royal Bank of Scotland Group, which counts the UK government as a significant shareholder. “This decision is incomprehensible, and without warning. It is however, not at odds with the countless measures that have been undertaken in the UK and Europe over the last few years to ostracize, shout down, or downright impede the work of RT. RT UK will continue its operations uninterrupted,” RT press office stated. UK Prime Minister Theresa May’s office has denied any involvement in NatWest’s decision. “It’s a matter for the bank and it’s for them to decide who they offer services to based on their own risk appetite,” May’s spokeswoman told reporters, as cited by Reuters. “If so, then it is a gross violation of the basic principles of free speech and free press by… ‘the oldest democracy in the world’,” the ministry statement added. The bank’s move concerning RT UK is unprecedented, cynical pressure on the media, Sergey Zheleznyak, member of the Russian Parliament Foreign Affairs Committee, said. “We will demand explanations from the British authorities for this situation. We will help RT staff to protect their rights. We will request that international organizations like the Council of Europe and the UN, as well as international human rights and media professionals communities state their positions on this issue,” he said. “I sincerely hope that there’s no political motive for this, because we know that the British government isn’t happy with RT in Britain,” publisher Marcus Papadopoulos told RT. “RT has a lot of viewers in Britain. Many British people now tune in to RT to receive information on major topics around the world, including in Britain. And many British people believe that the alternative accounts that RT puts forward and covers are more truthful than what they’re hearing from, for example, Sky News. “If no bank in Britain would allow RT to be a customer, then that could spell the end of RT broadcasting in Britain, which would be a catastrophic event for freedom of speech in Britain,” he added. The British government indeed considers RT to be a major security threat, according to a report it gave to the parliament in September. The cabinet’s plan to counter it, as stated to MPs, is to encourage “greater alignment between policy and communications divisions” of NATO structures as well as pumping more money into BBC World Service. The news that NatWest is closing RT UK’s bank accounts without any explanation has ignited a social media storm from outraged readers and members of the public who have questioned Britain’s “freedom of the press” and declared their support for RT. Countless RT readers sent messages of support and solidarity to the RT UK team, with quite a few offering services to RT to help fight the indignation. “Sending solidarity to RT in the face of outrageous actions by the banks backed by the British government. Anything I can do to help just let me know,” said Steve Hedley, Senior Assistant General Secretary of the RMT Union, Britain’s largest specialist transport trade union. Despite a statement from British Prime Minister Theresa May’s spokeswoman who said NatWest’s decision is “for them to decide who they offer services to based on their own risk appetite,” many on Twitter have questioned the government’s influence as they’re significant shareholders in the Royal Royal Bank of Scotland Group, of which NatWest is part. While the vast majority of online outrage over the banking decision seemed to be directed towards the UK government, quite a lot of criticism was aimed at NatWest themselves, with some even taking it further by closing their accounts. Oliver Tickell, British journalist, author and campaigner on health and environmental issues, has launched a petition at Care2 website urging NatWest bank to reverse its decision to close RT’s UK’s bank accounts, calling it a“blatant attack” on media diversity. “It has carved out an important role for itself in covering stories that other channels don’t cover and in covering a lot of stories that they do cover in rather different ways, with different emphasis,” he said, noting in particular the “more factually sound” and “evidence-based” RT coverage of the war in Syria, as opposed to the “increasingly hysterical signals” sent by mainstream media. RT is often portrayed by its opponents, including the BBC, as a “propaganda” channel, Tickell wrote in the petition, arguing that the only difference between the two channels is that BBC exclusively conveys the opinion of the British government and elites, while RT allows the other side to be heard. The UK media landscape in general has become increasingly uniform when it comes to viewpoints in its news coverage, the journalist argued. “There is a sort of a hegemonic point of view about a lot of issues that is becoming increasingly unacceptable to deviate from,” Tickell said, adding that the current “attack” on RT goes beyond the attempt to restrict its coverage, but could have wider implications for all alternative sources of information. “It`s important actually to stand up and say, ‘No,’ – up with this we will not put, because what`s next? Where is the attack on alternative media and dissenting opinion going next?” he said. The Royal Bank of Scotland (RBS) appears to have backtracked from its earlier statement that the looming closure of RT accounts is not up for discussion. 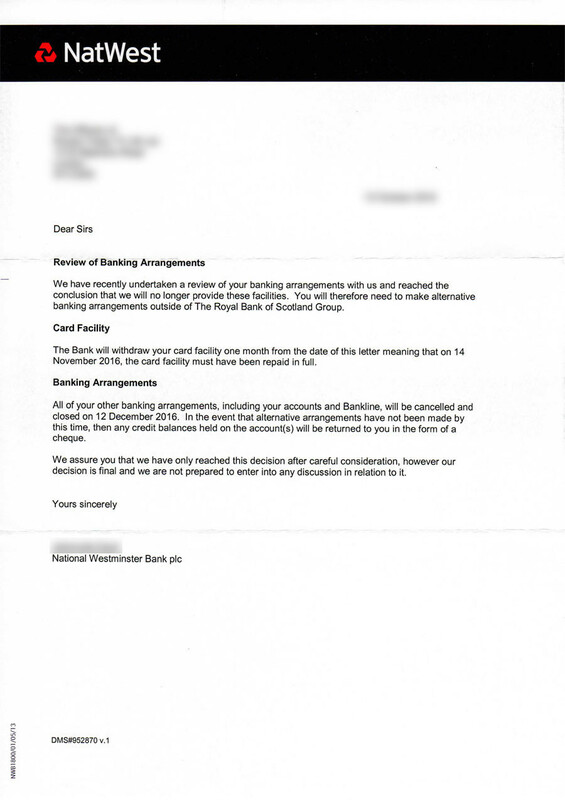 In a letter to RT, the bank said the situation is being reviewed and the bank is contacting the customer. The e-mailed response began with apologies for the delay in the reply. “These decisions are not taken lightly. We are reviewing the situation and are contacting the customer to discuss this further. The bank accounts remain open and are still operative,” Sarah Hinton-Smith, Head of Corporate & Institutional, Commercial & Private Media at RBS Communications, wrote. However, the response by Hinton-Smith contradicted an earlier statement by RBS Group, which said that the decision to suspend banking services to RT was final and not up for discussion. “There’s not much more of a steer I can give other than what is in the statement,” Hinton-Smith replied via email. Earlier Monday, the National Westminster Bank (NatWest), which is part of RBS Group, informed RT UK’s office in London that it will no longer have the broadcaster among its customers, without providing any explanation for the decision. The Royal Bank of Scotland Group has the UK government as a significant shareholder, but UK Prime Minister Theresa May’s office has denied any involvement by the British state in the matter. RBS’s decision to close the RT accounts didn’t go unnoticed, with Russia’s Foreign Ministry demanding an explanation from London over the decision. The Organization for Security and Cooperation in Europe said it was monitoring the situation around RT UK’s bank accounts. Various groups involved in protection of freedom of speech have expressed their support for the broadcaster. 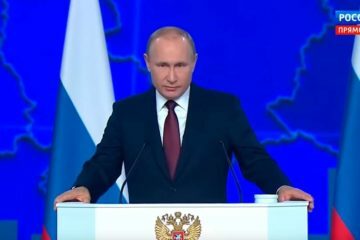 “RT is a valuable alternative source of information which often rings more true than the established channels with their constant video clips of Boris calling for protests outside the Russian Embassy and US officials blustering about the Russian Federation and President Assad. It would be good for NatWest to withdraw their Turkish-style attack on freedom of expression and for RT to continue to embarrass Boris Johnson and his mandarins,” Stephen Green, National Director of Christian Voice, said in a press release. An online petition was launched at Care2 website demanding the NatWest bank reinstate RT UK’s accounts. One longtime NatWest customer contacted RT and said that he closed his account with the bank in protest at the way it had treated RT. UK's GCHQ Says "Israel is the True Threat"